Not everyone who uses Nomad’s services is moving abroad. 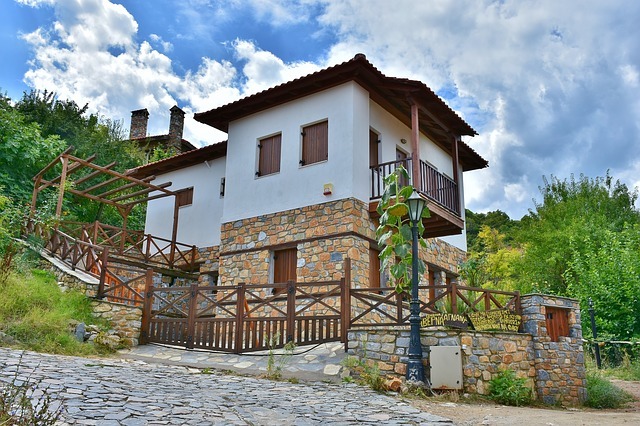 Many of our clients are furnishing a holiday home in Greece, either as a second home of their own or as a dedicated holiday let. This can mean moving some of your own furniture over to Greece to furnish the home, or buying new items specifically for the purpose. 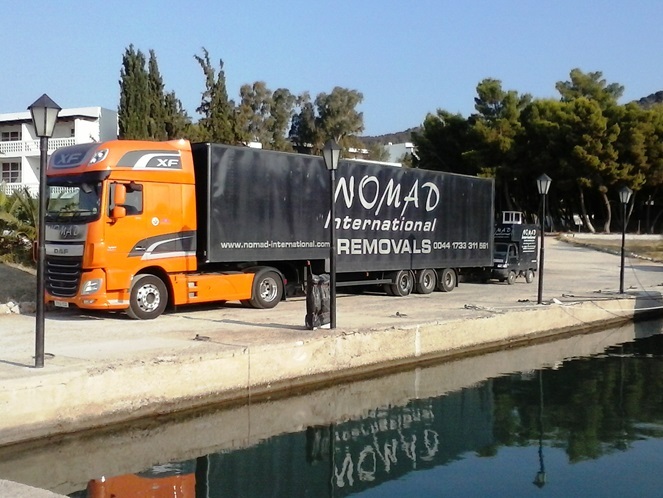 Because of the huge range and great prices in the UK, it often makes sense to buy things in the UK and transport them to Greece with Nomad instead of buying locally. Holiday homes in remote mainland or island locations can be idyllic and beautiful, but by their very nature they are isolated from the hustle and bustle of the busier parts of Europe. This means choice is very limited if you are looking to buy everything for the home in the near vicinity. So buying some things from the UK makes a lot of sense. Besides furniture and fragile personal effects (our specialty due to our removal skills), we regularly send flat-packed kitchens, outdoor jacuzzis and whole bathrooms to Greece for our clients. Anything that can be purchased in the UK (and is smaller than a truck!) can be transported to Greece and delivered to your home with the greatest care and attention by our friendly team. And typically the cost saving more than makes up for the cost of transport. We cover all of Greece including all of the inhabited Greek islands, so no matter where your second home is, Nomad will be able to deliver to you. The cost of transport is lowest for the locations that we go to very regularly (such as Crete, Athens and many of the Ionian islands), but we can go anywhere you need us to. We are very experienced in navigating the Greek ferries and roads, and we have shuttle vans to enable us to access even the most difficult locations. The process is extremely easy. If you would like us to collect from your home and deliver to your home in Greece, this is no problem – it is just like our door-to-door removals. If you are purchasing new items from retailers in the UK, you can have them delivered directly to us so that you don’t have to store them at your home. We do this all the time for our customers. Simply tell the retailer to deliver them to [your name] at [our address] and we will receive them, amalgamate everything together for you, and stay in communication with you regarding what has arrived and what we are still waiting for. Some of our customers order everything brand new, which eliminates the need for us to come to their UK home at all! While this results in a further cost saving by eliminating the collection charge, it is not possible for everyone and we are more than happy to do both. So whether you’re building your dream holiday home, setting up a beautiful holiday let, furnishing a villa or a whole block of apartments to rent out on AirBnB, Nomad will be able to help you (our clients have done all of these). Just send us an email, give us a call or use the “Quick Quote” form on the right and we will be happy to give you a quote.